This page offers an alphabetical listing of prominent people in Egypt, who are mentioned in Connected in Cairo, this blog, or who have otherwise played a prominent role in the Egyptian uprisings. It was compiled initially by Mikaela Ashley, an International Studies major at Miami University. Abbas, Wael. Award-winning journalist and editor of misrdigital, which he founded in 2005 as Egypt’s first fully on-line newspaper. Received international attention in 2007, when YouTube shut down his account, which included dozens of leaked videos of police brutality and torture. His Facebook and Yahoo e-mail accounts were also cenceled. All were subsequently restored. He has received the Egyptians Against Corruption Award (2006), International Press Freedom Award (2007), Human Rights Watch’s Hellman/Hammett Award (2008), was named Middle East Person of the Year by CNN (2007), and listed as one of the Most Influential Peopleby BBC (2006). Abd al-Ghany, Safwat. Safwat Abd al-Ghany is a leader of the Building and Development party. Abdel Aziz, Adil. Adil Abdel Aziz was appointed as the chairman and editor-in-chief of the Middle East News Agency (MENA) March 30 2011 as part of a sweeping reform of Egyptian state media following the resignation of Hosni Mubarak, replacing Abdallah Hassan. Abdel Aziz, Hiham Mustafa. Religious writer Hiham Mustafa Abdel Aziz is the leader of the Reform and Rennaissance Party. Abdel Fattah, Alaa. Software developer, blogger and political activist, Abd El-Fattah is one of the original social media innovators in Egypt’s blogging scene. After the revolution, Abd El-Fattah was one of the originators of the “#TweetNadwa.” He was detained on charges of inciting violence and attacking military personnel during the Maspero clashes, and made headlines when he refused to cooperate with the military court because he did not believe in military trials for civilians. co-founded April 6 Youth Movement Egypt in 2008, along with a fellow El-Ghad Party volunteer Ahmad Maher. Abdel-Fattah, born in 1981, was then a human resources specialist in a Cairo company. Shortly after helping create the April 6th site, Abdel-Fattah was arrested while sitting with friends at a Cairo cafe. There was an immediate furor across social media that was picked up by international media, who dubbed her “Facebook girl.” Hundreds of Facebook users replaced their profile pics to show the face of Abdel-Fattah, perhaps the first use of this sign of solidarity in Egyptian culture. After two weeks in prison, Israa Abdel Fattah was released. She made a brief public statement renouncing political, then disappeared from the political scene. She reappeared again during the January 25th protests, resuming her Internet activism and commenting for Al Jazeera TV. Abdel Ghaffour, Emad Eddin. Emad Eddin Abdel Ghaffour is the leader of the Salafist An-Nour party. Abdel Khalak, Gouda. Dr. Gouda Abdel Khalak was appointed minister of social security in the short lived (Feb. 23-Mar. 3) Ahmed Shafiq government. Abdel Nour, Monir Fakhri. Monir Fakhri Abdel Nour is a leader of the New Wafd Party opposition group and an Egyptian delegate to the Pan-African Parliament. Abdel Meguid, Wahid. Political analyst Wahid Abdel Meguid is a Wafdist official and coordinator of the Democratic Alliance. He was elected to Parliament in 2012. Abdulhady, Ahmed. Ahmed Abdulhady is the head of the Conservatives party and a former member of the National Democratic party. Abu al-Ghar, Mohamed. Mohamed Abu al-Ghar founded the left liberal Egyptian Social Democratic party with Amr Hamzawy and other Egyptian political activists. Abu al-Ghar is also a spokesman of the National Association for Change headed by Mohamed ElBaradei. Abu Bey, Gamal. Gamal Abu Bey was appointed editor-in-chief of Al-Massa daily March 30 2011 as part of a sweeping reform of Egyptian state media following the resignation of Hosni Mubarak. Abu Fagr, Musad. Musad Abul Fagr is the pen name of blogger Musaad Suliman Hassan Hussein. He was co-founder of Wedna Na’ish (We Want to Live), a Bedouin rights movement that held a series of demonstrations demanding permits to build houses, ownership of the farmland they worked, and the release of Bedouin who had been detained without charge or trial after bomb attacks in the Sinai between 2004 and 2006. Fagr was arrested December 2007 for “inciting others to protest.” In spite of multiple court orders for his release, he was not freed until July 2010. Abu Ismail, Hazem. Hazem Salah Abu Ismail an Egyptian Muslim representing the pragmatic Islamo-liberal movement in Egypt, is currently a candidate for the Egyptian presidency. Ismail obtained his law degree from Cairo University in 1982. He is not a member of the Muslim Brotherhood but, is affiliated. Abul Futuh, Abdel-Moneim. A doctor, activist, long-time opponent of the Sadat and Mubarak regimes, and ong time member of the Muslim Brotherhood’s guidance council, Abdel Moneim Abul Futuh broke with the organization in 2011 when he announced his presidential candidacy. He has run as a middle-of-the-road candidate. Adel, Muhammed. Mohammed Adel is an Egyptian political activist. He was active with the Kefaya movement since 2005, joined the April 6 movement at its inception, and by 2009 had become the April 6 movement’s media spokesman. Adel participated in a training program directed by the Center for Non-Violent Action and Strategies, an entity founded by the Serbian pro-democracy youth movement Otpor! In December 2013, Douma was arrested for participating in a protest organised by the No Military Trials for Civilians campaign in defiance of a new restrictive protest law, and subsequently sentenced to three years in prison with hard labor and a fine of EGP 50,000. Afify, Adel Abd al-Maqsud. Founder and president of the Salafist Al-Asala Party, Adel Abd al-Maqsud Affify has been a government official since the late 1960s, primarily in the Immigration and Citizenship Department, of which he was director for 5 years. Ahmed, Bahia Mohamed. Representing the Rawd el-Farag neighborhood in Cairo, Bahia Mohamed Ahmed was the first woman who wears the niqab to submit her nomination for parliament. She ran as an independent candidate for the People’s Assembly in Cairo. Al-Adly, Habib. Born in 1938, Habib Al-Adly is a former Egyptian politician who served as an Interior Minister of Egypt under Hosni Mubarak from 1997 until replaced during the uprisings in 2011. Al-Adly was convicted of fraud and money laundering and sentenced to 12 years in prison. He still faces trial with a possibility of the death penalty for ordering police to use ammunition during the January 25 protests. Al-Aksary, Waheed Fakhry. Waheed Fakhry Al-Aksary is part of the democratic alliance and head of the Egyptian Arab Socialist party. Al-‘Al, Ashraf Abd. Ashraf Abd al-‘Al is the vice president of Al-Harakah al-Insaniyyah Li al-Islah wa al-Taghier (Human Movement for Reform and Change Party), a newly established political party created by an al-Jama‘ah al-Islamiyyah offshoot group. Al Araby, Nabil. An Egyptian diplomat elected Secretary General of the Arab League on May 15, 2011. Throughout the uprisings he acted as a liason between protesters and the Egyptian government. Al-A’sar, Abdel Moneim. Dr. Abdel Moneim al-A’sar is the president of the Green Party (Hizb Al-Khodr) and serves in the Shura Council. Al-Ashaal, Abdullah. Abdullah Al-Ashaal, politician and former Egyptian diplomat, is the head of Free Egypt party (Misr Al-Hurra). Abdullah Al-Ashaal was also a member of the former National Democratic party. In 2012 he ran for president as the candidate of the Salafist Authenticity Party. Al-Askary, Abeer. Egyptian journalist Abeer Al-Askary has published investigative reports on controversial issues such as corruption, election fraud and torture of prisoner by state security officers within the Ministry of Interior. She was attacked in May 2005 by state security agents while covering public protests against the 2005 referendum to amend the constitution. In 2006 she received the International Press Freedom Award. Al-Awa, Mohammed Salim. Former Secretary General of the International Union for Muslim Scholars based in London, and head of the Egyptian Association for Culture and Dialogue, Mohammed Salim al-Awa is a lawyer, jurist, writer and intellectual known for work on the meaning of Islam in the modern world. He is the author of Fil Nizam Al-Siyasi lil Dawla Al-Islamiya (On the Political System of the Islamic State) one of the most important and comprehensive studies of the concept of the Islamic state and governance. On June 14, 2011 he announced his candidacy for president of Egypt. Al-Badawy, Al-Sayid. Al-Sayid Al-Badawy is the president of Egypt’s New Wafd party. Al-Deeb, Farid. Farid Al-Deeb is the lawyer for the family of former Egyptian President Hosni Mubarak. Al-Gamal, Yehina. Yehina al-Gamal is a former Mubarak cabinet minister and co-founder of the Democratic Front Party (Hizb al-Gabha ad-Democrati). Al-Hariri, Abul Izz. A long time labor activist and politician, Abul Izz Al-Hariri owns a stationery shop in Alexandria. He joined the Tagammu Party in 1976, and was elected three times to Parliament (in 1976, 1984 and 2000). He was arrested six times during the Sadat regime for his activism. He was an early member of the Kifeya (Enough!) Movement in 2004, and co-founder of the National Assembly for Change (NAC) in 2010. In 2011 he broke with the Tagammu Party and co-founded the Socialist Popular Alliance Party (SPAP), which nominated him for president in the 2012 presidential elections. Ali, Khaled. A lawyer and labor activist with the Egyptian Center for Economic and Social Rights, Khaled Ali was well known as an outspoken critic of corruption in the Mubarak regime, and for defending the rights of workers protesting labor conditions. During the uprising he became known for providing legal defense for detained protesters, founding the Front to Defend Egypt’s Protesters. He announced his presidential bid in 2012, running on an economic reform, education, and social justice platform. Al-Iraqi, Ismail. Ismail al-Shishtawy al-Iraqi was appointed head of State Radio March 30 2011 as part of a sweeping reform of Egyptian state media following the resignation of Hosni Mubarak. Al-Katatni, Sa’ad. A former university professor, Sa’ad al-Katatni was chosen Feb. 10 as Secretary-General of the Muslim Brotherhood’s new political party, the Freedom and Justice Party. He previously headed the Muslim Brotherhood’s parliamentary bloc from 2005 until 2010. Al-Khodairy, Mahmoud. A long-time public advocate of judicial independence from the central government,Mahmoud al-Khodeiry is the former head of Egypt’s Court of Cassation, or appeals court, who gave strong public support for the uprisings. Al-Madul, Gamal. Replaced Karam Gabr, a former NDP representative on the Shura Council, as chairman of the board of state newspaper and magazine Ruz al-Youssef March 30 2011 as part of a sweeping reform of Egyptian state media following the resignation of Hosni Mubarak. Al Malky, Rania. Rania Al Malky has been the Editor-in-Chief of Daily News Egypt, the local partner of the International Herald Tribune, since May 2007. She previously wrote for the current affairs monthly magazine, Egypt Today. She holds a BA and MA in journalism from the American University in Cairo, and a second Masters Degree in Journalism from Westminster University. Al-Nawi, Mamduh. Mamduh Al-Nawi is the head of the Free Constitutional Social Party and assists in the funding for ElBaradei’s National Association for Change. Alphraouni, Mahmoud. Alphraouni Mahmoud is the founder of the secular nationalist Mother Egypt Party (Hizb Masr el-Omm), renamed Al Hizb al Masri al Liberali (Liberal Egyptian Party) after the success of the uprisings. Al-Said, Rifaat. Rifaat Al-Said holds two doctorate degrees in modern history. He is the head of the Tagammu’ party, in alliance with the Egyptian Bloc. Al-Sharif, Magdy. Magdy Al-Sharif is a head of the Revolutionary Guards party and a member of the Revolutionary Youths. Amer, Kareem. Abdul Kareem Nabeel Suleiman Amer is the first blogger in Egypt explicitly arrested for the content of his writing. Born in 1984, the Egyptian blogger and former law student arrested in 2006 for his anti-religious statements and for insulting Hosni Mubarak. On February 22, 2007 Amer was sentenced to three years of imprisonment for insulting Islam and inciting sedition, and one year for insulting the Egyptian president. He was released on November 17, 2010, but not before he was beaten by Egyptian security forces. An-Namnam, Helmy. Helmy al-Namnam was appointed editor-in-chief of Al-Hilal, a monthly magazine, founded in 1892, on March 30 2011 as part of a sweeping reform of Egyptian state media following the resignation of Hosni Mubarak. Ashour, Sameh. Sameh Ashour became the president of the Democratic Arab Nasserite Party in April 2011 and is a presidential candidate. In the trial of former president Hosni Mubarak and former Interior Minister Habib al-‘Adly, Ashour will also be one of the lawyers representing families of the martyrs from the uprisings. As-Said, Kamal. Kamal al-Said replaced Abdel Latif al-Manawy replaces as head of Egyptian TV’s newsroom March 30 2011 as part of a sweeping reform of Egyptian state media following the resignation of Hosni Mubarak. As-Sebai, Labib. Labib as-Sebai was appointed chairman of Al-Ahram March 30, 2011. An award winning journalist for Al-Ahram, he had reportedly been denied promotion for his independent views. As-Sokar, Ahmed. Ahmed as-Sokar is a leader of the Islamist Egypt Revolution party, which arose out of Islamist involvement in the uprisings. Azaim, Alaa Abul. Sheykh Alaa Abul Azaim is the leader of the Azaimiya Sufi order. Az-Zumr, Tariq. Tariq az-Zumr spent thirty years in prison for helping plan the assassination of foremer President Anwar Sadat. He was released from prison following the revolution. He is a founder of the Building and Development Party (al-Banna’ wa al-Tanmiyya), the official party of the Al-Gama’a al-Islamiyya. Badrawi, Hossam. Hossam Badrawi, former NDP secretary-general, created the Renaissance Egypt party (Misr Al-Nahda). Badrawi graduated from Cairo University in 1974. Baladi, Lara. An Egyptian-Lebanese artist whose work is held in collections around the world, she was awarded the Grand Nile Prize at the Cairo Biennial 2008. She studied International Business at Richmond University in London. In 2011 she helped launch radiota7rir.com, “the first free speech Egyptian radio.” Baladi’s art emphasized being Egyptian rather than Muslim or Christian during the uprising. Bastawisy, Hisham. JudgeHisham Mohammed Osman Bastawisy is the vice president of the Egyptian Court of Cassation. A long-time opponent of the Mubarak administration, he is running for the presidency as the candidate of the Tagammu party. Dawoud, Khaled. A graduate of the American University in Cairo’s Adhem Center for Television Broadcasting, Khaled Dawoud has held several positions with Al-Ahram, as well as with Al-Jazeera. Early on, he was a strong defender of Al-Jazeera’s independence from the strictures US media put on airing such things as the Bin Ladin tapes or images of dead US soldiers and civilian casualties. Since the uprisings, he has been a strong voice for an uncensored Egyptian media. Diab, Amr. Born in 1961, Amr Diab is an Egyptian singer and composer of geel music. After the resignation of Hosni Mubarak, Amr Diab composed a memorial song “Masr A’let” in memory of the martyrs who died in the uprising. Diab also began a campaign, “Masry Begad” (Real Egyptian), as a social national program to help rebuild Egyptian society. Dibis, Nabil. Nabil Dibis is the founder of the Modern Egypt Party (Hizb Masr al-Haditha). He is a former member of the defunct NDP and the owner of Modern Egypt, a private university. Dibis, Walid. Walid Dibis is the owner of the Modern Egypt television channels, which were technically independent but closely associated with the former regime. Walid is the son of Modern Egypt Party founder Nabil Dibis. Donjewan, Ramy. Ramy Donjewan is an Egyptian rap artist who created the “No SCAF” rap in support for the November protests in Egypt that were pushing the military to transfer power. Douma, Ahmed. A prominent activist and blogger, Douma is famous for having been arrested under each consecutive Egyptian government in recent years. In 2009 he was sentenced by a a military court to one year in prison for illegally crossing the border to Israel and demonstrating in solidarity with Palestinian activists. In January 2012, he was detained and charged with inciting violence against the army and encouraging attecks on public property. In April 2013, Ahmed Douma was arrested after calling President Morsi a killer and a criminal on his Facebook page. He was convicted to six months in prison for insulting the president but was released on appeal. In December 2013, Douma was arrested for participating in a protest organized by the No Military Trials for Civilians campaign in defiance of a new restrictive protest law, and subsequently sentenced to three years in prison with hard labor and a fine of EGP 50,000. Effat, Emad. Sheikh Emad Effat was a revolutionary Islamic scholar who tutored and taught at Al-Azhar Mosque and Dar al-Iftaa. Sometimes called “the Revolution’s Sheikh” (a title also applied to Mazhar Shahin), he was killed by military police at the age of 52 Dec. 16 during the suppression of a protest. Eid, Gamal. Gamal Eid is executive director of the Arabic Network for Human Rights Information. Eissa, Said. Established Egypt’s first successful independent newspaper in 1995 and is now the head of political news at Egypt’s largest news source, Al-Ahram. ElBaradei, Mohamed. The Director General of the International Atomic Energy Agency (IAEA) from 1997 until 2009. He won the Nobel Peace Prize in 2005 as a law scholar and diplomat. Born in Cairo, he obtained a bachelor’s degree in Law from the University of Cairo and holds a PhD in International Law from New York University’s law school. ElBaradei emerged as a leading political voice during the uprisings and actively participated in the protests. In March of 2011 ElBaradei stated interest in the presidency. He is the president of the National Association for Change. El Beblawi, Hazem. Beblawi was the Egyptian deputy prime minister and finance minister for only three months up until October 11, 2011. He resigned from his position following the protest that happened on October 9, 2011 that ended in 25 deaths and over 200 wounded. El-Dahshan, Mohamed. Mohamed El-Dahshan is a blogger and journalist for Al-Masry al-Youm and many other on-line and print news sources. A graduate of Cairo University, Sciences-Po Paris, and Harvard’s Kennedy School of Government, he served as an economic consultant to the United Nations before joining Al-Masry Al-Youm. El-Essiaury, Mansour. General Mansour El-Essiaury, Egyptian politician, was appointed Minister of the Interior on March 5, 2011 by Prime Minister Essam Sharaf. General El-Essiaury has a diploma in police science from the Egyptian Police College and a diploma from the Arabic Studies and Research Institute of the Arab League, while also being licensed in law. El Galad, Magdy. Magdy El Galad has been the editor-in-chief of Al-Masry Al-Youm since 2005, Egypt’s largest independent newspaper. Previously he has been managing editor of Al-Masry Al-Youm, part time lecturer of press in the Faculty of Arts, in Shams University, Mass Media Department, head of Reportage Department in ‘Al-Ahram Al-Arabi’ magazine, and correspondent of Al-Ahram Newspaper and Al-Ahram Al-Arabi. He has received the Prize of Press Supremacy from Press Syndicate (2000) and Best Editor-in-Chief in Egypt by the Nile International Channel (2006). El Hamalawy, Hossam. A journalist and blogger of “3Arabawy,” Hamalawy graduated from the American University of Cairo. He is also known for targeting former secret police of the State Security Investigations Service by linking photos to their names on the website “Piggipedia“. ElHetta, Mahmoud. Elhetta leads a campaign of 1,500 supporters of ElBaradei for president. Elkady, Yasser. Eng. Yasser Elkady was appointed CEO of the Information Technology Industry Development Agency (ITIDA) in Oct. 2010. Previously he was Cisco System’s General Manager for North Africa and the Levant. Elkady holds a B.S. in Electronics and Data Communications Engineering from Cairo University. El Malt, Gawdat. Dr. Gawdat El-Malt is an economist and president of the Central Auditing Organization, He is also chair of the Working Group on Fight Against Corruption and Money Laundering. El-Shami, Mosa’ab. Mosa’ab El-Shami is a professional photographer and political activist. He was arrested in May and tried in a military court but received a 1-year suspended sentence because of enormous pressure for his release. He has been a prominent critic of the regime in many subsequent protests. El-Sharqawi, Mohammed. Antigovernment blogger who was detained and tortured for repeatedly participating in street protests. El-Sherif, Same. Dr. Sami El-Sherif , professor of radio at the faculty of mass communication at Cairo university, was appointed as the chairman for the Egyptian radio and television union “ERTU” on March 3, 2011. El Tayeb, Ahmed. Sheik Ahmed El-Tayeb is the current imam of the Al Azhar mosque and was appointed by Mubarak in 2010. The Sheik issued a document after the revolution seeking to combine secular and conservative theories. El-Tuhami, Gamal. The head of the Human Rights and Citizenship party. Enan, Sami. Lt. Gen. Sami Enan is chief of the Egyptian armed forces and second highest ranked on the Supreme Council of the Armed Forces. He rose from battalion commander in 1981 to his present rank in 2005. Essam, Ramy. Ramy Essam’s “Irhal” (Leave!) was the unofficial anthem of the Jan. 25th uprisings. He is a guitarist who performed on stage at Tahrir Square during the protests and became known through YouTube. Fahmy, Ismail. Ismail Fahmy was a Wafd party member, an employee of EgyptAir, and head of EgyptAir’s union. After the resignation of Hosni Mubarak, he was appointed minister of manpower and immigration in the short lived (Feb. 23-Mar. 3) Ahmed Shafiq government. Fahmy, Khaled. 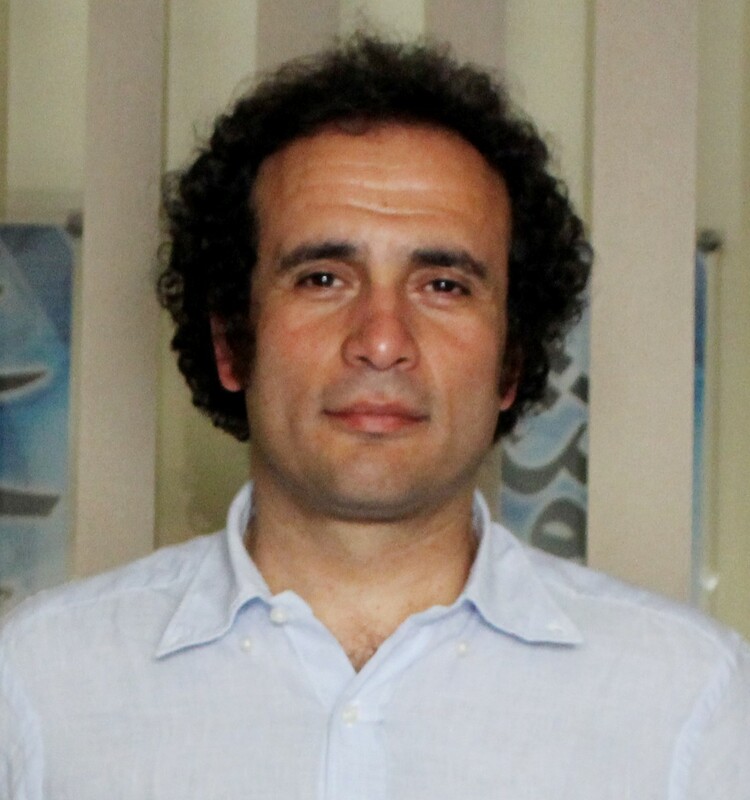 Dr. Khaled Fahmy is professor of history at The American University in Cairo where he received an undergraduate degree in Economics and a graduate degree in Political Science. He received his PHD at Oxford University. He has been asked to document the uprisings for the Egyptian Government National Archives. Fahmy, Taisser. Born in 1955, Taisser Fahmy is an Egyptian actress and political activist. In September 2011 she organized the Equality and Development Party. Farag, Ibrahim. Ibrahim Farag is an Alexandrian businessman accused of killing protesters in the Suez during the 18-day January uprising. Witnesses claimed to have seen him and his sons Abboudi, Adel and Arabi, firing live rounds at the protesters. He was arrested and tried in Cairo for fear of reprisals from victims families. Fattah, Alaa Abdel. Alla Abdel Fattah is a political activist, software designer, and free speech blogger of “Manal and Alaa“. Fattah participated in the demonstrations on October 9, 2011 in Cairo. He was detained on October 30, 2011 due to charges brought by the military. Feteha, Ahmed. A journalist for the online edition of al-Ahram, became a story when he was beaten by Central Security forces Nov. 18, 2011 while covering a confrontation with protesters on Talaat Harb Street in central Cairo. Gaber, Gaber al-Sayyed. Gaber al-Sayyed Gaber’s is an activist arrested in Abbasseya Dec. 23 when he attended a protest in support of the military council and handed out leaflets that supposedly “threaten public peace and security and intimidate citizens.” On 26 December, the court ordered Gaber’s detention, fined him LE200, and set his bail at LE1,000. He appealed, and was released Jan. 17 pending an appeals hearing 29 Feb.
Gad, Diaa Eddin. Diaa Eddin Gad, the blogger of Sout Ghaded (An Angry Voice), was detained by authorities on February 9, 2009 and held for 49 days. Galal, Mahmoud. A former police officer turned businessman, Mahmoud Hossam Eddin Galal founded the Beginning Party (Hizb al-Bidaya) after the courts dissolved the National Democratic Party. He ran in 2011 as an independent candidate for president. Ganzori, Kamal. Kamal Ganzori was born in Egypt in 1933 and holds a PhD from Michigan University. In 1996 he was appointed Prime Minister by Hosni Mubarak. On November 24, 2011 the military appointed Ganzori to be Prime Minister. On December 7, 2011 Ganzori was transferred presidential powers and took office. Ghonim, Wael. Ghonim received his BS and MA in computer engineering from Cairo University. In 2010 he became the head of marketing for Google in the Middle East. As an Egyptian activist he helped spark the opposition through the creation of the Facebook page “Kulina Khalid Saeed”. TIME magazine listed him as one of the 100 most influential people in 2011. Hafez, Abdel Halim. Abdel Halim Ali Shabana (1929-1977), popularly known as Abdel Halim Hafez, is an iconic figure in Arabic music. Known as the “Dark Nightingale” (al-Andaleeb al-Asmar), he was a singer, actor, musician and conductor of prodigious talent whose music is till played daily throughout the Arab world. Hafez Mohamed, Reda Mahmoud. Air Martial Reda Mahmoud Hafez Mohamed is the commander of the Egyptian air force. He graduated in 1972 with a undergraduate degree in Aviation and Military Sciences from the Egyptian Air Academy. Mohamed is a member of the Supreme Council of the Armed Forces. Hakim. One of the most popular musicians in contemporary Egypt, Hakim’s music crosses from sha’bi to shababi to jeel, and has enabled him to work with international musicians such as James Brown. Hamad, Azim. A political commentator with Arab nationalist sentiments, Azim Hamad was editor of the independent Al-Chorouq until March 30, 2011, when he was appointed the new editor of Al-Ahram, replacing Usama Saraya. Hamed, Hassan. Hassan Hamed is a political activist and blogger. A critic of the gulf between the Internet connected elites and the masses who, he felt, had only limited understanding of the goals and activities of the revolutionaries, he founded the “Tweet Shara’a” (Tweet the Street) initiative, which sought to inform people in the neighborhoods of Cairo what the “Twitterati” were trying to do. youth movement during the uprisings and is now a political columnist for Al-Shourouk newspaper. His 2011 romance with movie star Amr Hamzawy was the subject of considerable media attention. In the 2011 Parliamentary elections he won a seat representing the Heliopolis constituency tformerly held by Hosni Mubarak. state television reminded audiences that her grandfather, Yussef Darwish, an anti-Zionist labor leader and communist party founder was a Jew (he converted to Islam in order to stay in Egypt after the 1948 war). Her 2011 romance with political star Amr Hamzawy was the subject of considerable media attention. Hassan, Mamduh Ali. Mamduh Ali Hassan, former NDP parliamentary spokesman, is the head of the Freedom Party (Horreya). Harb, Osama al-Ghazali. Dr. Usama Al-Ghazali is editor-in-chief of the monthly news magazine Al Siyasa Al Dawliya. He is former NDP official and co-founder of the Democratic Front Party (Hizb al-Gabha ad-Democrati). Harb, Shady Ghazali. Shady Ghazali Harb is a representative for the Democratic Front party and supports the Revolution Youth coalition. Hegazi, Mohammed. An Egyptian government spokesman. Hosny, Tamer. Tamer Hosny is an Egyptian pop singer, actor, and producer. Hosny is one of the top-selling artists in Egypt. During the January uprisings he launched two new songs “Good Morning Egypt” and “Martyrs 25 Jan.”. Hussein, Mohamed Ahmed. Mohamed Ahmed Hussein is the head of the Egyptian Islamic Labour Party and part of the democratic alliance. Hussein, Nazly. An Egyptian student and activist interviewed about the people beaten by the police early in the protests by the International Labor Organization on August 23, 2011. Ibrahim, Abdel Moez. Legal advisor and Chairman of the Higher Election Commission in Egypt. Ibrahim, Gigi. Political activist and blogger, known on Twitter as @Gsquare86, Gigi Ibrahim became famous when she was picked by foreign media as a spokeperson for the revolution. She appeared (with six other young protesters) on the cover of Time magazine, and made appearances on Frontline, BBC, Al Jazeera and the Daily Show. She was the subject of a short documentary “Gigi’s Revolution” by Inigo Gilmore. She graduated from the American University in Cairo with a Political Science degree, and is a member of the Revolutionary Socialists. Ibrahim, Nageh. Ibrahim is the leader of Al-Gama’a al-Islamiyya (the Islamic Group). He was suspected to be involved with the assassination of Anwar Sadat and convicted of participating in the 1993 World Trade Center bombings conspiracy. Ibrahim, Saad Eddin. Ibrahim is an Egyptian American sociologist who is a human rights and democracy activist in Egypt. Iskander, Amin. Amin Iskander is the Al-Karama Party co-founder, spokesman, and legal representative. Ismail, Gameela. Gameela Ismail is an Egyptian political activist and co-founder of the Al-Ghad Party. Born in 1966, she graduated from the Faculty of Mass Communication at Cairo University in 1986, and obtained a diploma in Interpretation from the American University in Cairo. She worked in a variety of media, most prominently as a program presenter on Egyptian television. After failing to win a seat on Shura Council in the 2001 elections, Ismail co-founded Al-Ghad Party with husband Ayman Nour and managed the media campaign for the Nour’s presidential bid in the 2005 election. Issa, Mohamed Fawzy. Former police commander turned lawyer, Issa is the guy defending many former regime officials accused of corruption, including the former ministers of agriculture, tourism and housing. He ran as an independent presidential candidate, offering a law and order campaign that vilified all protests taking place after Feb. 11, 2011 as detrimental to the good of the country. Kamal, Nihal. Nihal Kamal was appointed head of state TV March 30 2011 as part of a sweeping reform of Egyptian state media following the resignation of Hosni Mubarak. Kamel, Bothina. Bothina Kamel is an Egyptian television anchor, activist, and politician, who became famous for her early support of the uprisings. Her show “Please Understand Me” was taken off the air by the Saudi producers when its coverage of the 2011 Egyptian uprising was said to implicate Saudi interests. A pro-democracy advocate, she was the only female running (as an independent candidate) for the 2012 Egyptian presidential elections. In early 2012 she withdrew, after failing to get the required number of documented signatures. Khalil, Ibrahim. Ibrahim Khalil was appointed as editor-in-chief of the newspaper Ruz al-Youssef March 30 2011 as part of a sweeping reform of Egyptian state media following the resignation of Hosni Mubarak. Khalil, Wael. Khalil Wael is a political activist and co-founder (with Wael Ghoneim, Ziyad Ali, Mohamed Diab and Moatez Abdel Fatah) of the Masrena Movement. Maadi, Aboul-Ela. In February 2011 Maadi finally won approval from the Egyptian State Council for the recognition of the New Center Party, commonly known as El Wasat Party. It was the first politically recognized Islamist party in Egypt. He had been fighting for approval since 1998 when he first had the idea for a political entity that promotes a civil approach. Maher, Amer. One of the co-founders (with Israa Abdel-Fattah) of the April 6 Youth Movement, Ahmed Maher was a prominent participant in anti-Mubarak activism at least since 2005 and was a volunteer for the El-Ghad Party. A civil engineer by profession, Maher organized several demonstrations but was targeted by Egyptian security forces. In June 2010, Maher helped organize a protest over the murder of Khaled Said by police. Since the ouster of Mubarak, Maher has supported the presidential bid of Mohammed ElBaradei. After the elections, Maher helped organize protests against the government of Mohammed Morsi. Following the coup, he organized protests against the new military-appointed government. In December 2013, Douma was arrested for participating in a protest organized by the No Military Trials for Civilians campaign in defiance of a new restrictive protest law, and subsequently sentenced to three years in prison with hard labor and a fine of EGP 50,000. Mamish, Mohab. Vice Admiral Mohab Mamish is the commander-in-chief of the Egyptian navy and is a key military figure. He graduated with a bachelor degree of science from the Egyptian Naval Academy in 1971 and has trained in the US, UAE, China, Greece, and France. Morsy, Mohamed. A member of the Muslim Brotherhood’s Guidance Council, Mohamed Morsy is president of the Justice and Freedom Party. You can read a May 18 interview with him here. Mounir, Mohamed. Mohamed Mounir is a popular Egyptian singer and actor who is known as “The King” in reference to his album “El Malek Howa El Malek” (The King is The King). His genre of music includes classical Arabic, Nubian music, blues, jazz, and reggae. His song “Ezzay” (How come?) is considered one of the most popular songs of the Egyptian uprising. Moussa, Amr. Amr Moussa is a political leader in Egypt. He was formerly Secretary-General of the Arab League. He has also been ambassador to the United Nations and India. He was Egyptian Foreign Minister 1991-2001. He was fired by Mubarak for his outspoken criticism of Israel. He supported the uprising, cautiously at first then more vocally as the days stretched on. He briefly joined an advisory council set up by Egypt’s ruling military but resigned following charges that army negligence was partly to blame for the events at Port Said football stadium on 1 February, 2012, which left 74 fans dead and hundreds injured. He announced that he would run for president just two weeks after Mubarak’s resignation in February 2011. Mubarak, Gamal. Born Dec. 27, 1963, Gamal Al Din Mohammed Hosni Sayed Mubarak is the youngest of two sons of former President Hosni Mubarak and his wife Suzanne. After receiving a business degree from the American University in Cairo, he worked as an investment banker with Bank of America, then helped to found Medinvest Associates, Ltd. in the UK. In 2007 he married Khadiga El Gammal, the daughter of Egyptian businessman Mahmoud El Gammal, with whom he had a daughter, Farida, in 2010.Gamal actively pursued political life in Egypt, becoming NDP deputy secretary general, and heading the party’s powerful policy committee. Combined with his father’s refusal to appoint a vice-president (until the 2011 uprising), his activities led to a widespread belief among Egyptians that a dynastic succession was planned. Gamal Mubarak came to be a widely demonized figure in popular discourse, frequently blamed for every poor decision his father made. Ultimately, rumors even blamed him for his father’s decision not to step down on Thursday, Feb. 10, saying he exerted undue influence in the last hours before a planned resignation speech. A story in Al-Akhbarclaims Gamal was rebuked by his elder brother Alaa for ruining the dignity of his father’s last days with self-serving advice. Mubarak, Hosni. Muhammad Husni Sayyid Mubarak was fourth President of Egypt, governing from 1981 to 2011. Born in Kafr-El-Meselha, Monufia Governorate, May 4, 1928, Mubarak served in the Egyptian Air Force, rising to the ranks of Air Chief Marshal. In 1975 he was appointed vice president by President Anwar Sadat and assumed the presidency on 14 October 1981, following Sadat’s assassination. On 11 February, after 18 days of demonstrations against his regime, Vice President Omar Suleiman announced that Mubarak had resigned as president and transferred authority to the Supreme Council of the Armed Forces. Mubarak left the presidential palace in Cairo relocating to a family home in Sharm el-Sheikh, Egypt. On April 13, he was detained for questioning, and subsequently bound over for trial. His trial began Aug. 3. Nafaa, Hassan. Nafaa is the general coordinator of the Egyptian National Association for Change and the head of the Political Science department at Cairo University. He is a specialist on International Relations/Organization and Middle East Politics. Naga, Khaled Abol. Al-Jazeera interviewed Khaled Abol Naga, Egyptian actor, TV host, producer, and director on October 31, 2011 to discuss the progress in Egypt. Nazeer, Hany. 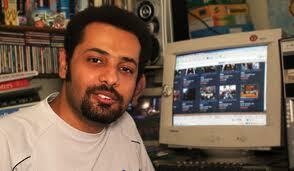 Blogger Hany Nazeer, was arrested October 3, 2008 for writing opinions critical of Christianity and Islam. He was held in Borg El Arab prison under the emergency law and denied visits. Nazeer was released July 30, 2010. Nawara, Wael. Wael Nawara is one of the cofounders of the El-Ghad Party. Negm, Nawara. Activist, television personality and journalist, Nawara Negm played a prominent role in the revolution. She was one of the most followed tweeters, with close to 175,000 followers at the height of her popularity. Nosseir, Mohamed. Mohamed Nosseir is a prominent figure of the Democratic Front Party. Nour, Ayman. Formed a new political party, El Ghad (“Tomorrow”), in 2004 to oppose the Mubarak regime. He was also the first politician to run for president against Mubarak in the 2005 open elections until he was imprisoned on “unrelated” charges. He stated an interest in the Egyptian presidency after the January 25 uprisings and is also a member of the National Association for Change. Okasha, Tawfiq. Controversial owner of Al-Faraeen Television satellite channel. Made international headlines in 2010 when he defended his stations airing of shows questioning the holocaust and reporting on the Protocols of the Elders of Zion. Osman, Maged. Dr. Maged Osman was appointed Minister of Communications and Information Technology in February 2011. Formerly a professor of statistics at Cairo University, he has served on many national committees and has held political appointments since 2004. Osman received his B.Sc. and M.Sc. from Cairo University, and his Ph.D., both in Biostatistics from Case Western Reserve University in the United States. Qenawi, Mamdouh. Qenawi is a member of the National Association for Change and the chair of the Constitutional Party (Hizb al-Disturi). Ragab, Mohamed. The former secretary-general of the the banned National Democratic Party, now head of the Egyptian Citizen Party. In February he was appointed secretary for organizational affairs as part of the new government with which Mubarak hoped to appease the protesters. Reefat, Ahmed. Ahmed Reefat is an Egyptian from El-Helmya el-Gedida in Cairo. Reefat presides over the trial of former Egyptian president Hosni Mubarak and will not retire until June 2012 in order to finish the trial. Saad, Mahmoud. Mahmoud Saad was a popular Egyptian TV host. He achieved notoriety after the protests began as one of the first national television journalists to resign rather than broadcast propaganda. Sabahi, Hamdin. An Egyptian journalist, activist, and candidate for the 2012 Egyptian presidential election. Sabahi received an undergraduate degree in mass communications and a masters in journalism from Cairo University. In 1996 he founded the Nasserist Al-Karama Party, and was twice elected to the People’s Assembly (in 2000 and 2005). Sa’ada, Hafaz Abu. The Secretary General of the Egyptian Organization for Human Rights. Sadat, Talaat. Talaat Sadat is a politician and lawyer who was selected to be the chairman of the National Democratic Party (Hizb al-Watani al-Democrati) after the resignation of Mubarak. On April 16, 2011 the NDP was dissolved by the courts. Said, Abdel Moneim. Abdel Moneim Said was one of Gamal Mubarak’s closest aides, and long-time chairman of the board at Al-Ahram. Said, Atef. Atef Said is a Ph.D candidate in sociology at the University of Michigan-Ann Arbor. Before moving to the United States in 2004, he was a human rights lawyer and political activist in Egypt. He wrote two books on torture under Mubarak (in Arabic). Salam, Hussein. Hussein Salam is co-owner of the East Mediterranean Gas Company (EMG), and was one of former president Hosni Mubarak’s closest advisors. He is also the chairman and CEO of HKS Group, a hospitality company that operates Maritim Jolie Ville Resort in Sharm El Sheikh. Salem fled Egypt on February 3, and was arrested at his home in La Moraleja, Madrid, Spain on June 14 under a warrant issued by Interpol. Salem is under investigation for corruption, on charges he bribed Mubarak and his family to gain a monopoly on the sale of gas to Israel, and for squandering public funds by selling Egyptian natural gas to Israel at below market prices. His trial began on August 3, 2011. Salama, Usama. Usama Salama replaces replacing Abdallah Kamal as editor-in-chief of the newspaper Ruz al-Youssef March 30 2011 as part of a sweeping reform of Egyptian state media following the resignation of Hosni Mubarak. Saleh, Ahmed. A leader of the April 6th movement. He came under criticism when he traveled to the U.S. in March 2011 to request pressure be put on SCAF, because most Egyptians did not want U.S. involvement. Salem, Mahmoud. Writer of the blog “Rantings of a Sandmonkey” who revealed his name during the uprising. His blog has had over 5.5 million views, with posts that have appeared in the New York Times. He obtained an undergraduate and two graduate degrees in business from Northeastern University. He ran unsuccessfully for a Parliamentary seat as a member of the Free Egyptians Party. For a full biography visit <http://www.genevasummit.org/speaker/72>. Salim, Helmy Ahmad. Helmy Ahmad Salim is chair of the Liberal Party (Hizb al-Ahrar). Samih, Ahmed. Has been politically active in Egypt for over a decade and founded the Andalus Institute for Tolerance and Anti-Violence Studies in 2004. Saraya, Usama. Usama Saraya was the poster child for sycophantic journalists of the Mubarak era. He was the genius who authorized in 2009 the Photoshopping of a photograph of world leaders to put Mubarak in front. Under Saraya’s editorship, Al-Ahram initially ignored the Jan. 25th protests, then defamed the protesters as hooligans bought with foreign funds, then–hours after Mubarak resigned–headlined the paper “The people ousted the regime.” He subsequently apologized to “the Egyptian people” for the years of propaganda. He was replaced March 30 2011 by Hamad Azim. Sawiris, Naguib Onsi. Naguib Sawiris is the owner of the telecommunications company Orascom, which has become one of the leading telecom companies in the world. Forbes Magazine declared him one of the 400 richest men in the world. Sawiris is a Coptic Christian. He is a founder of the Free Egyptians Party. Sei’da, Hafez abu. Hafez abu Sei’da is the current director of the Egyptian organization for Human Rights. Seif-Eldeen, Abd El Aziz. Lieutenant General Abd El Aziz Seif-Eldeen is the commander of the Egyptian air defense forces. He is a member of the Supreme Council of Armed Forces. Seif, Mona. Coordinator of the protest group No Military Trials for Civilians. Shaaban, Tamer. A Computer Science undergraduate from the Georgia Institute of Technology who created some of the first viral video footage on YouTube when the revolution began. Sha’aban, Abdel Rahim. Sha’aban Abdel Rahim rose from playing weddings and street parties in the 1980s to national and regional fame as a sha’bi musician. His first major hit was Bakrah Israil (“I hate Israel”) and was followed by a number of other blunt, controversial songs. Shahin, Mazhar. Sheikh Mazhar Shahin is sometimes known as “the revolution sheikh” because of his role in the protests of January and February. The Sheikh supports November 2011 protests in Tahrir Square of the people demanding military rulers step down and rejecting their choice of new prime minister. Shafiq, Ahmad.Ahmed Mohamed Shafiq, politician and former senior commander in the Egyptian Air Force, was the last prime minister to be appointed by Hosni Mubarak as Prime Minister of Egypt. Shafiq rose through the ranks of the Air Force as a fighter pilot, squadron, wing and base commander, finally reaching the rank of Ari Marshall. He was the Commander of the Egyptian Air Force from 1996 to 2002. He served as Egypt’s Minister of Civil Aviation from 2002 to 2011. On Jan. 23 he was appointed Prime Minister in response to the protests but found himself under increasing criticism after the president’s resignation and finally resigned Mar. 3. A candidate for the 2012 presidential elections, Shafiq presents himself as a strongman who will quickly restore law and order after taking office. Shalaby, Tarek. Activist and blogger Tarek Shalaby is a web designer and protest leader. When he was detained in May he livestreamed his arrest. He was tried in a military court and released with a suspended sentence. Sharaf, Essam. A politician and academic who received his undergraduate degree in civil engineering from the University of Cairo in 1975. He then went on to receive his masters and Ph.D. from Purdue University in 1984. From 2004 to 2005 he was the Minister of Transportation and since March 3, 2011 he has been the interim Prime Minister of Egypt. Soliman, Abdel-Kareem. Abdel-Kareem Soliman was a blogger and activist sentenced in 2009 to a four-year prison term for insulting the president and Islam. Soueif, Laila. Dr. Soueif is the mother of blogger Alaa Abdel Fattah. 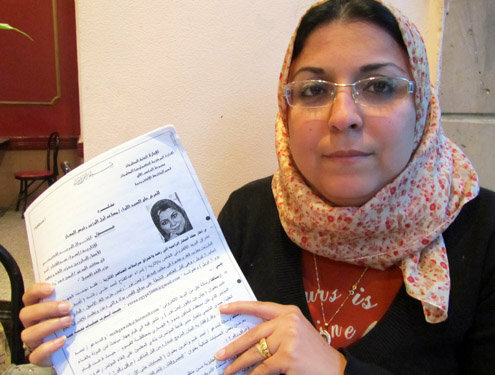 According to Al-Ahram, she began a hunger strike on November 6, 2011 in demand for charges against her son dropped. Stouhi, Omar. Sheikh Omar Stouhi issued a public fatwa prohibiting marriage with former members of the National Democratic Party. Subh, Ahmad. The president of Al-Harakah al-Insaniyyah Li al-Islah wa al-Taghier (Human Movement for Reform and Change Party), a newly established political party by an al-Jama‘ah al-Islamiyyah offshoot group. Suleiman, Omar. Omar Suleiman was appointed Vice President of Egypt on January 29, 2011. He was director of the Egyptian national intelligence agency from 1993 until 2011, when he announced Mubarak’s resignation and ceased being Vice President, and a new head of intelligent services was appointed by the ruling Supreme Council. Suleiman was ranked the Middle East’s most powerful intelligence chief by Foreign Policy magazine and the Daily Telegraph (Britain) dubbed him as “one of the world’s most powerful spy chiefs.” Suleiman’s credibility was undermined for many Egyptians by US embassy telegrams released by wikileaks that show his role in supporting US and Israeli policy on the Gaza border. He announced Mubarak’s resignation to Egypt and the world. Suleiman tried to run for president but his application was rejected by the election council. Suleiman died unexpectedly of an illness in a Cleveland hospital July 2012. Tantawy, Muhammad. A close ally of Mubarak who served under him as defense minister and commander-in-chief of the Egyptian Armed Forces, Field Marshal Mohamed Tantawi has been has been called ‘Mubarak’s poodle’. Following Mubarak’s resignation, he became Egypt’s de facto head of state. Tantawi gave a closed testimony September 24, 2011 in the controversial trial of former President Hosni Mubarak. Toma, Sally. Sally Toma is a founding member of, and sometimes spokeswoman for, the Egyptian Socialist Party. She is a member of the Revolution Youth and was active in the Jan. 25th and July protests in Tahrir Square. Tork, Ibrahim Mohamed. Ibrahim Mohamed Tork is the chair of the Democratic Unionist Party (Hizb al-Itahadi ad-Democrati). 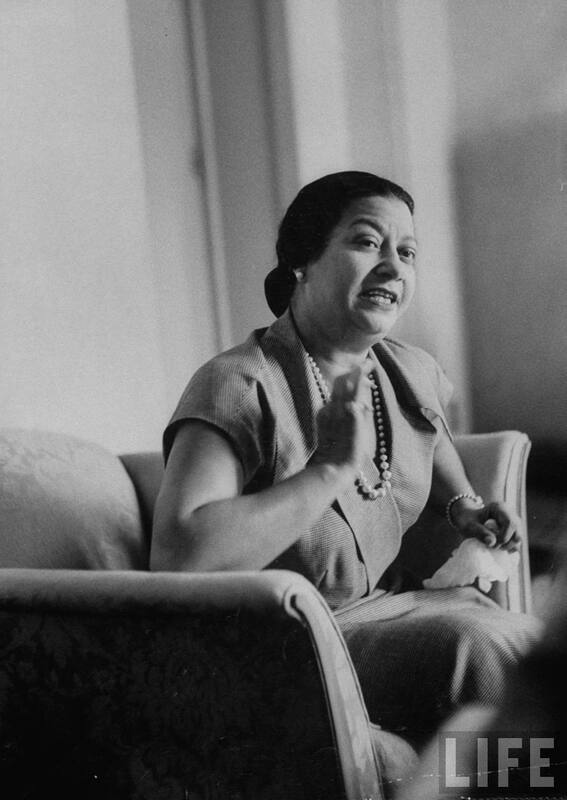 Umm Kulthum. Umm Kulthum (1898-1975) was the stage name of Fatimah ʾIbrahim as-Sayyid al-Biltaghi. This Egyptian singer, songwriter and actress is almost universally regarded as the greatest female singer in Arab music history. Known as “The Star of The East” (kawkab el-sharq), she dominated Arabic music from the 1930s until her death in 1975. Wassef, Aalam. Began creating ads protesting Mubarak in 2007 using Google Adwords. Aalam is also the founder of Peer Evaluation, a web based review of research for scholars. Zahran, Ibrahim. Dr. Ibrahim Zahran is the founder and president of the Sufist Egyptian Liberation Party (Al-Tahrir al-Masry). Zewail, Ahmed. Ahmed Zewail is an Egyptian-American professor of physics at CalTech and recipient of the Nobel Prize in Physics. I am disappointed as I didn’t find my name. Did you play a prominent role in Egypt’s uprisings? Thought not.